Historic Building No. 861- Former Willsmere Hospital, Princess Street, Kew. The former Willsmere Hospital, previously know as the Kew Lunatic Asylum, was commenced in 1856 and opened in 1872. The design of the complex was based on contemporary English models of asylum planning. The E-shaped complex of buildings was designed in the Italianate style by various architects employed by the Victorian Public Works Department. The central administration block comprises a three-storeyed building with attic Mansard roof and cupola, with two double-storeyed wings extending to each side which include a four-storey Mansard roofed tower, and courtyards lined with iron columned verandahs. The complex was set in a garden and surrounded by a walled fence. Fever Tents were erected in 1907 in response to a major typhoid epidemic. The former Willsmere Hospital is unique as the largest and most notable example of an institution erected by the Victorian Public Works Department in the nineteenth century. It is of historic importance because of it association with and ability to illustrate the evolution of mental health in Victoria over a century. It is also historically important in demonstrating rarity as one of the most intact nineteenth century lunatic asylums in the world. 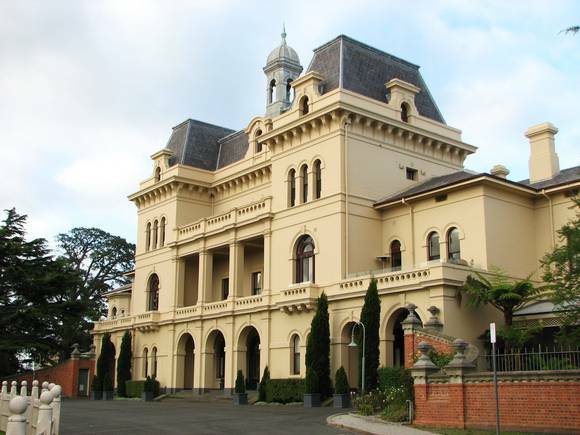 The former hospital is architecturally important in exhibiting the principle characteristics of the Italianate style, and of the work of the Victorian Public Works Department in the nineteenth century. It is also important in illustrating the mid-nineteenth century move to a grander style of institutional design. The former Willsmere Hospital is also architecturally important in exhibiting aesthetic characteristics of good design in the towers and mansard roofs and the central administration block. The Fever Tents are important in demonstrating the Department of Health¹s response to epidemics, as well as the prevailing belief in isolation and fresh air as a curative measure.